If you are unhappy with the way your smile looks and what it says about you, you are not alone. 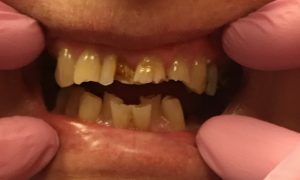 There a many reasons you may not be happy with your smile, from broken, chipped or worn teeth to unsightly gaps or previous old, discolored dentistry. 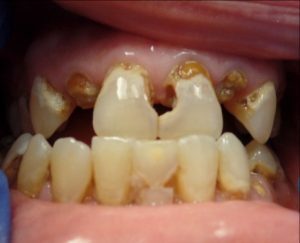 Years of wear may have left you with shortened teeth and this tends to cause your mouth to “collapse”. 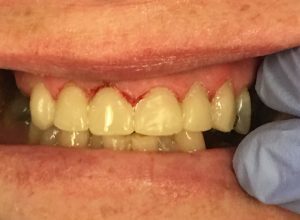 Smile makers or “smile lifts” may help smooth out lines and mild facial drooping caused by this collapsed bite. The smile makeover process begins when you schedule your free cosmetic consultation. During your consultation, Dr. Elston will examine the individual features of your teeth, gums, and jaw. You will discuss what it is you like about your smile and what it is you would like to change. 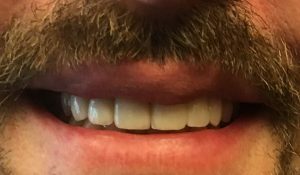 Sometimes it is just the subtle nuances that can really make the difference between a nice smile and one that is dazzling. 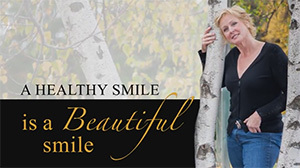 After the findings of the exam and her suggestions as to what procedures may work best for you, Dr. Elston will help you determine the treatments options for your individual case to give you the results you are looking for and help you achieve a beautiful, healthy smile… for life. Feeling good about yourself and having the confidence to smile can be a life-changing event. You deserve it! 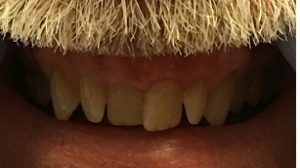 If you are unsatisfied with your smile please feel free to give us a call and schedule your no charge/no obligation consult with Dr. Elston today.